3623 Serra Road Malibu, CA. | MLS# 18350306 | Cormac and Wailani O'Herlihy | Sotheby's International Realty | Luxury Malibu Beach Homes. This warm and inviting 4 bedroom 2 bathroom home in exclusive Serra Retreat offers panoramic ocean and mountain views. With pitched wooden ceilings the home is open with an abundance of natural light. 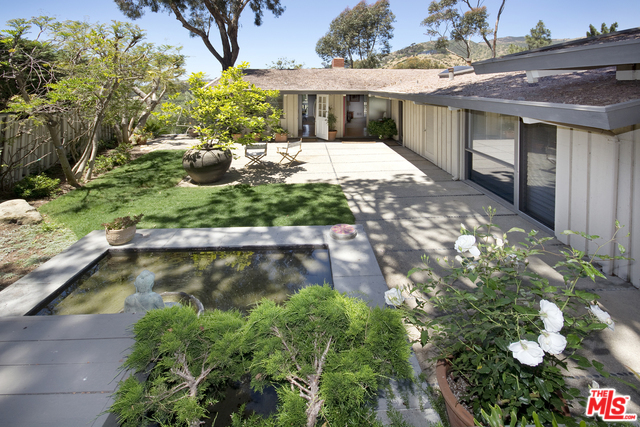 An entry courtyard fountain leads through the nicely landscaped patio to the front door. Ideal for relaxing under a canopy of mature trees. In the gated community of Serra Retreat one can walk to the nearby restaurants or take evening walks through Serra Retreat.